The Shannon Region is on the very western edge of Europe and is arguably one of its most interesting, culturally rich and scenically beautiful places. The region consists of counties Clare, Limerick, Tipperary, Offaly and Kerry. 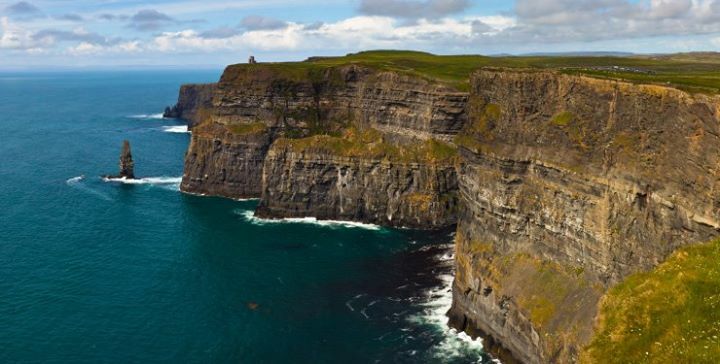 The region has an abundance of charms from the famous river Shannon and Lough Derg along its eastern boundary and a rugged Atlantic coastline with the towering Cliffs of Moher and golden beaches on its western front. To the north, Limerick is a county of quiet beauty and rural charm with a gentle undulating landscape ranging from the beautiful Golden Vale in the east to the tidal estuary Shannon Estuary in the west. The west of Ireland is an incredibly popular tourism destination, not just for overseas visitors, but for people living all over Ireland too. The Shannon region specifically includes highlights like the family fun and historical, Bunratty Castle, the unique Burren landscape and the many, many quaint thatched villages and towns that provide visitors with the authentic Irish experience. The entire region is, of course, all made conveniently accessible by Shannon Airport. Not only is there plenty to see in Shannon, but there is also plenty of activities spanning all interests. In Shannon you can find places for golf, windsurfing, music, fishing, surfing, hiking trails and more! Leading companies are in Ireland – Pfizer, Facebook, State Street, Microsoft, Dell, Siemens, Boston Scientific, etc. The Universities and Technology Institutes have developed close links to grow R&D facilities and strengthen product development synergies.